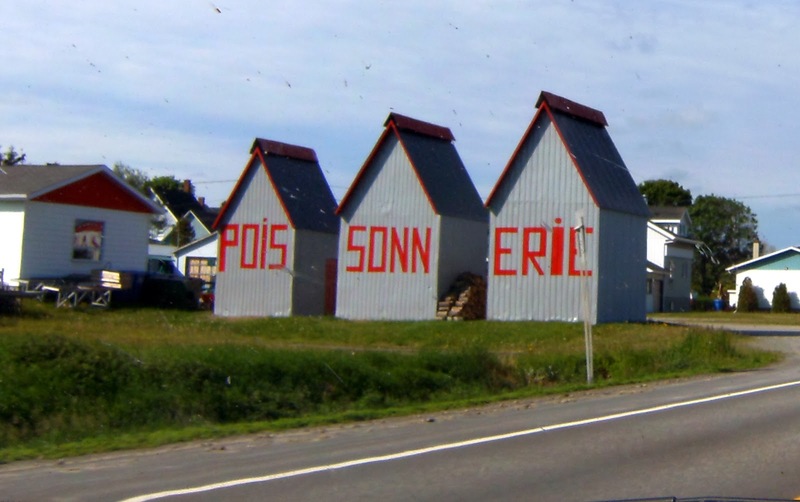 A Backwards Progress - Homestead Edition: French, lists, words ending in "erie"
French, lists, words ending in "erie"
Une poissonnerie - a fish market along the St. Laurence. Over the years I've been slowly but surely improving my French skills. Since I like lists, I've made a few lists of French words that tickle my fancy. While vacationing up the St Laurence coast I started noticing lots of words, at first mostly related to food (all bold), that ended with "-erie." So I started keeping a list and here is the current iteration! I hope it tickles your fancy as it does mine.